Technology often promises so much – whether it is saving money or providing greater granular detail about data – and every day seems to bring a new solution that claims to deliver even more value. 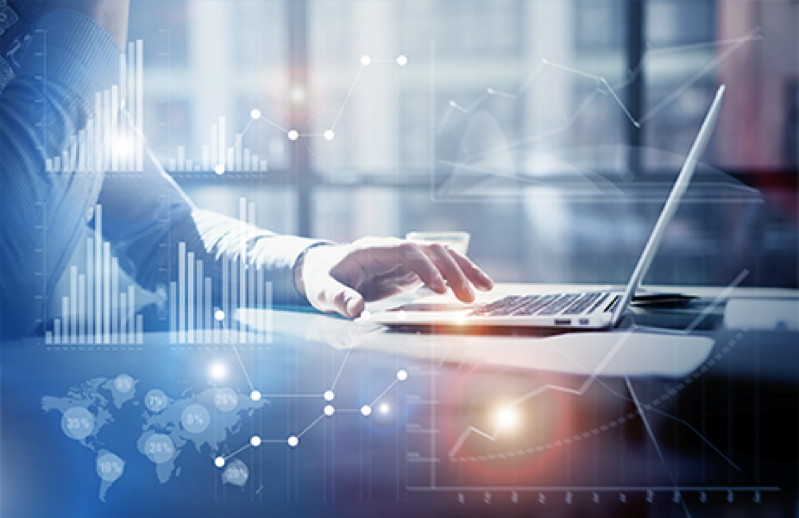 While many new products or services satisfy the needs of the business and the demands of the board, the IT teams that have to implement them often view them from a different, more practical, perspective. Of course, the IT teams’ priorities define and align with a businesses’ technology strategy; security, for example, is front of mind across every level of an organisation, more so now since the GDPR mandate came into effect in May. 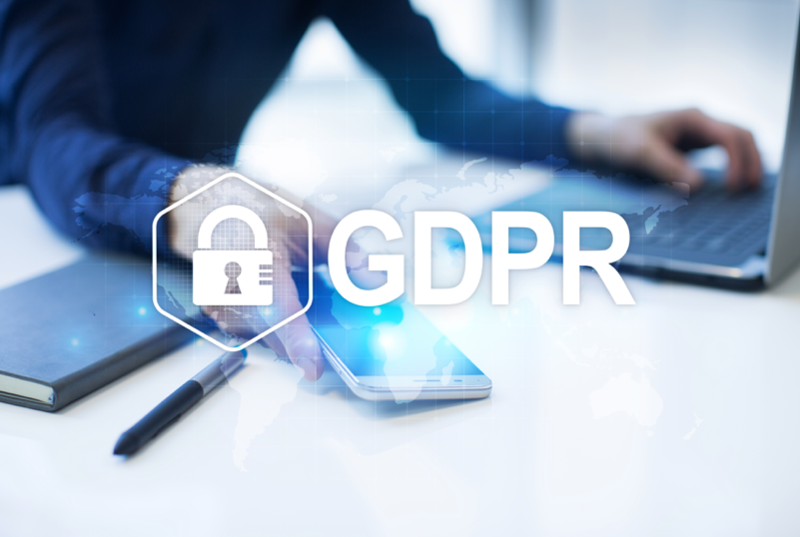 GDPR – combined with the growing movement toward the Bring Your Own Device model – has put an even greater obligation on companies to prevent data leaks, a challenge compounded for any organisation that regularly has guests or visitors joining its network. For IT Managers, this creates something of a headache, ensuring that guests or visitors don’t attach devices with a virus – or, worse still – find their way into an unprotected network. 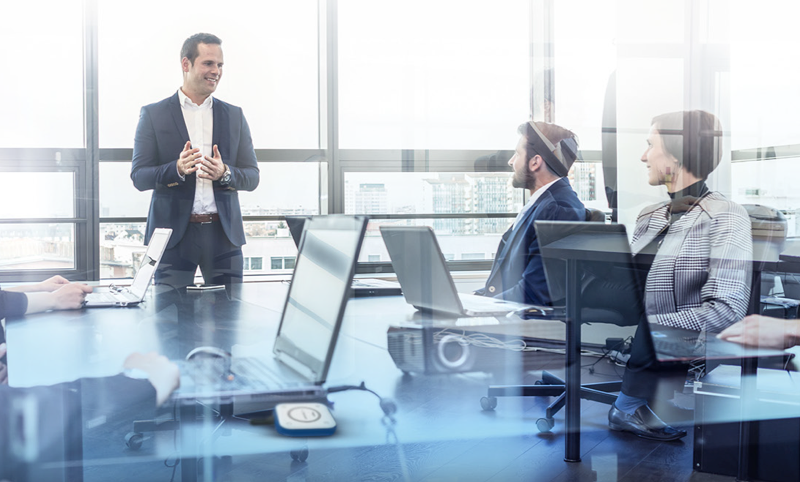 Vivitek has designed their wireless collaboration solution with data protection and network security as first priority, taking away any concerns the IT department might have. 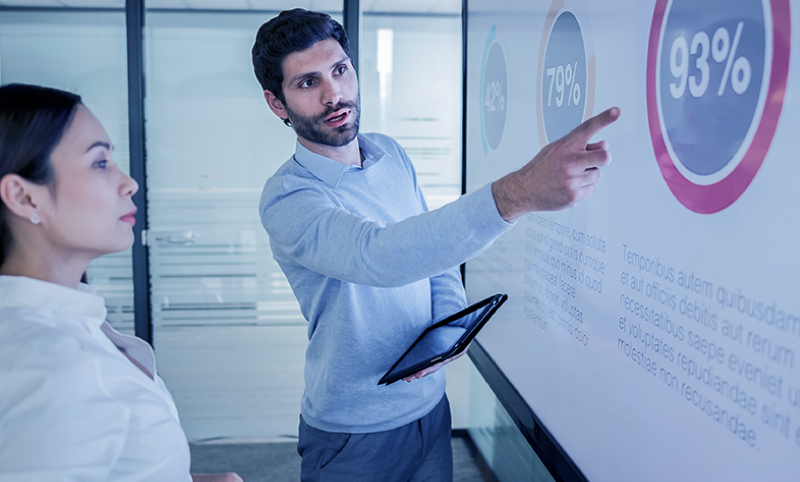 The wireless connectivity between the user in the meeting room and the NovoConnect, which is linked to the main screen, can take place via a direct WiFi connection using tablet or phone, or from a laptop via the NovoConnect software called Desktop Streamer. For those that don’t have this readily installed, or guests joining the meeting, the user friendly LauncherOne USB dongle provides a unique alternative to safely connect. 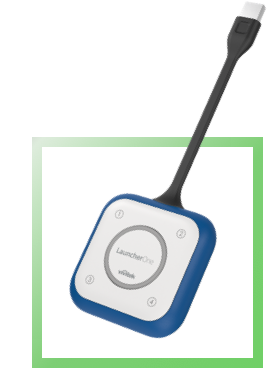 The LauncherOne is a USB module that does not have any storage, but has WiFi embedded and is DLP Compliant. The network connection from LauncherOne to the base unit is encrypted to guarantee safe transmission of the data. 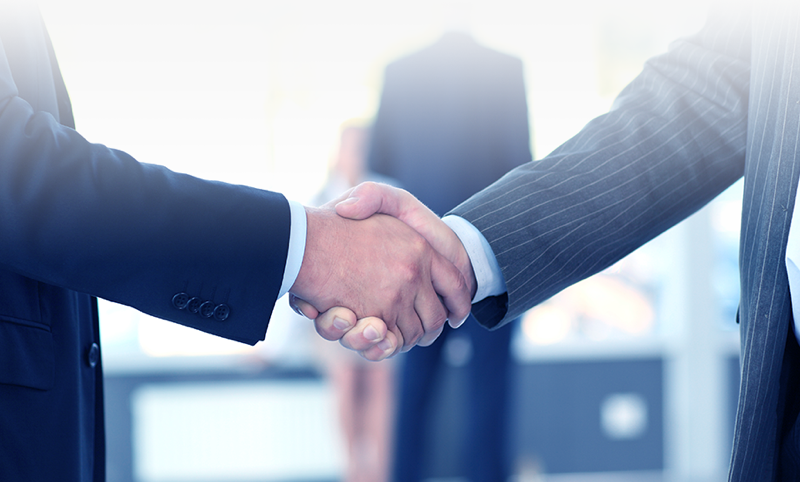 Unsurprisingly therefore, when evaluating new products from a security perspective – especially wireless collaboration solutions like Vivitek’s NovoConnect in combination with LauncherOne – many IT Managers insist that they are compatible with their company’s Data Loss Prevention (DLP) compliance policies; not just because this is simple best practice, but because in many companies, security is the responsibility of the IT team. Other considerations beyond security that an IT manager will need to consider when deploying wireless devices, includes the impact that they will have on the network from a resource perspective and how easy it is to deploy them across the business, whether it’s an SME or an enterprise-size organisation. For example, LauncherOne in combination with NovoConnect doesn’t consume much by way of network-bandwidth resources, while it is hassle-free to deploy as the main server can push the LauncherOne application file to all client devices. Alternatively, the LauncherOne application file does not need very high privileges to install, as it falls into the lower category of privileges required to deploy it. Therefore, large-scale deployments are very easy, as is rolling out any updates – an important consideration for IT teams under pressure to resolve more important day-to-day technology issues. While LauncherOne lives up to its user promise of bringing added productivity, security and flexibility, it also meets IT Manager’s needs from a security, deployment and maintenance perspective, making it a trusted solution – for both business, guests and visitors alike. 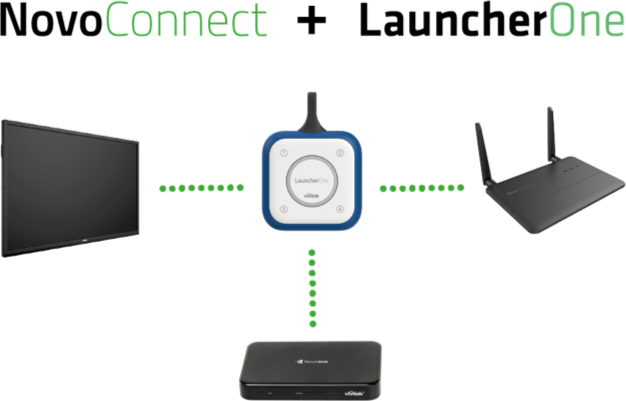 Vivitek’s NovoConnect wireless collaboration solutions give a choice to mix and match the main device and the Launcher USB connection modules to tailor the total solution to match the level of IT security with the budget and user needs. This unique approach that allows a DLP compliant user to still benefit from the same features as a less security restricted user is making the Vivitek wireless solution a top choice for IT.